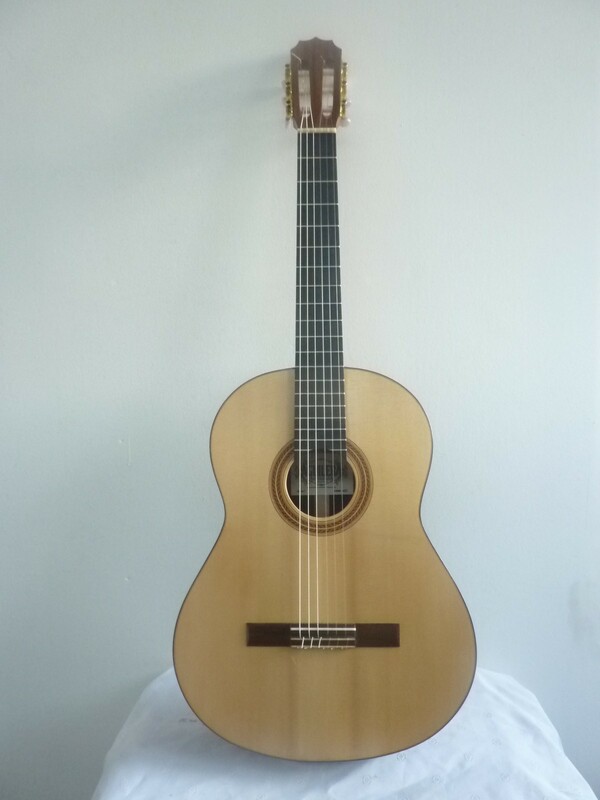 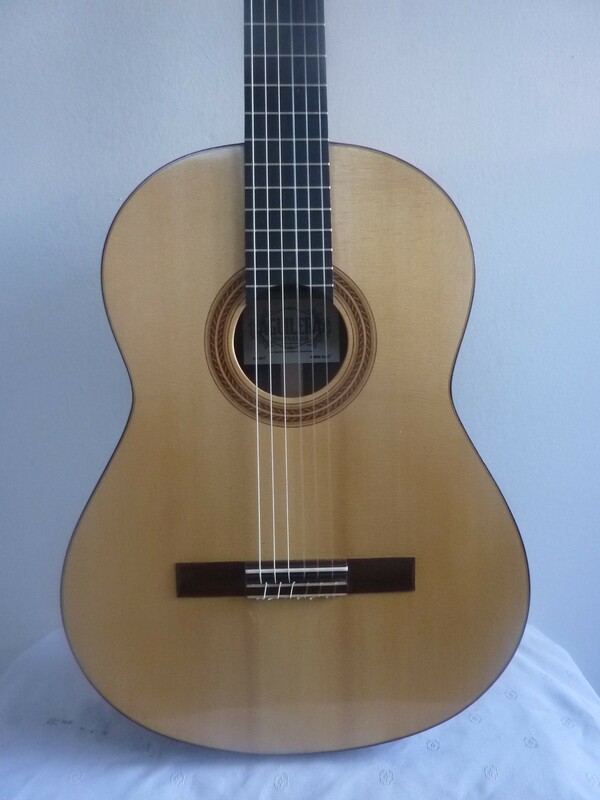 My Concert Classical guitars are made using the finest woods, generally high quality European Spruce for the top and Indian Rosewood for the back and sides, Ebony for the fingerboard and Brazilian Cedar (Cedrella Odorata) for the neck. 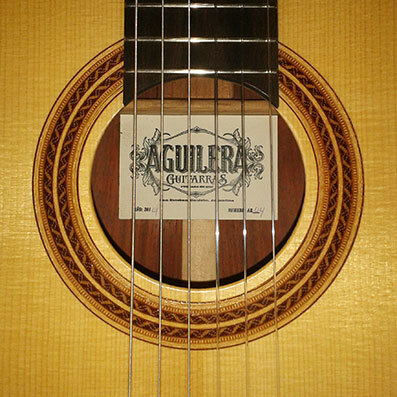 Other wood combinations are available too, here in Latin America there are many woods that are not commonly available in Europe or North America such as Guayubira and Algarrobo (for the back and sides). 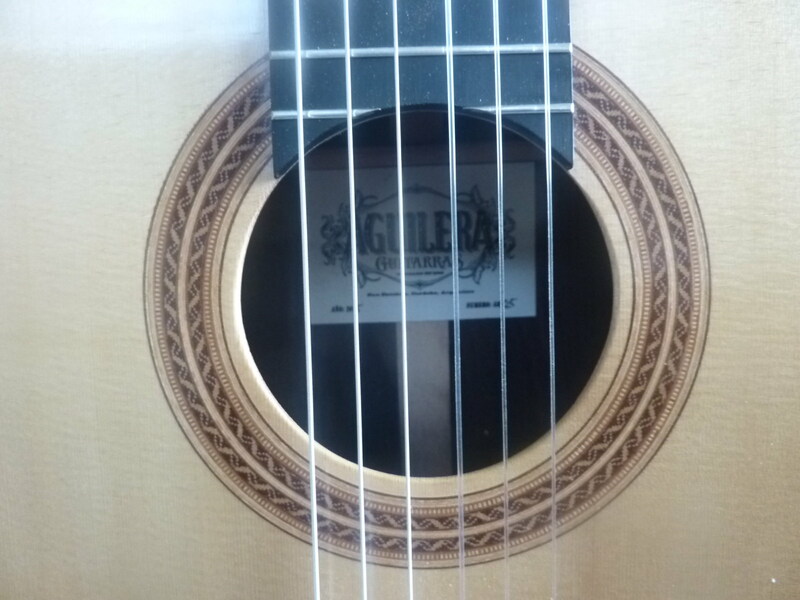 Alerce is an option for tops (this is the only wood suitable for guitar tops that is native to South America). 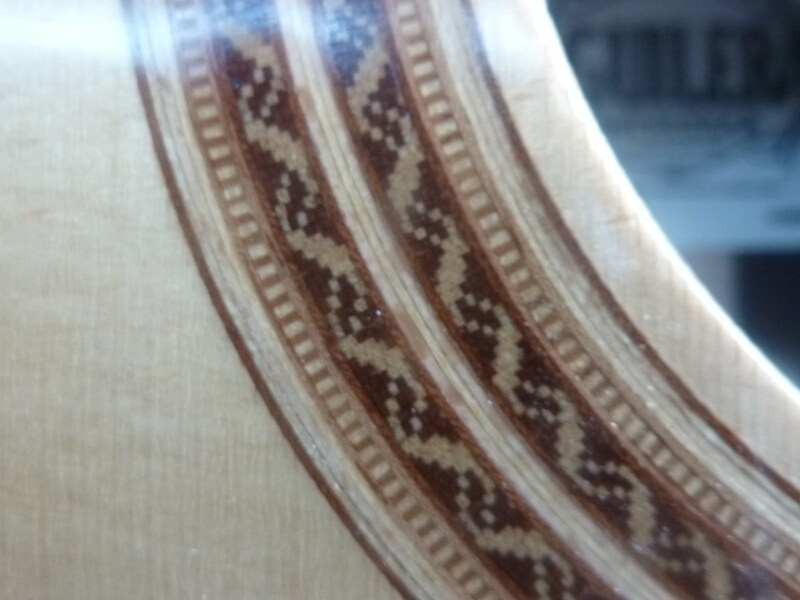 All the marquetry and parquetry is made using only naturally coloured woods and the design although following a theme may change subtly across a range of guitars. 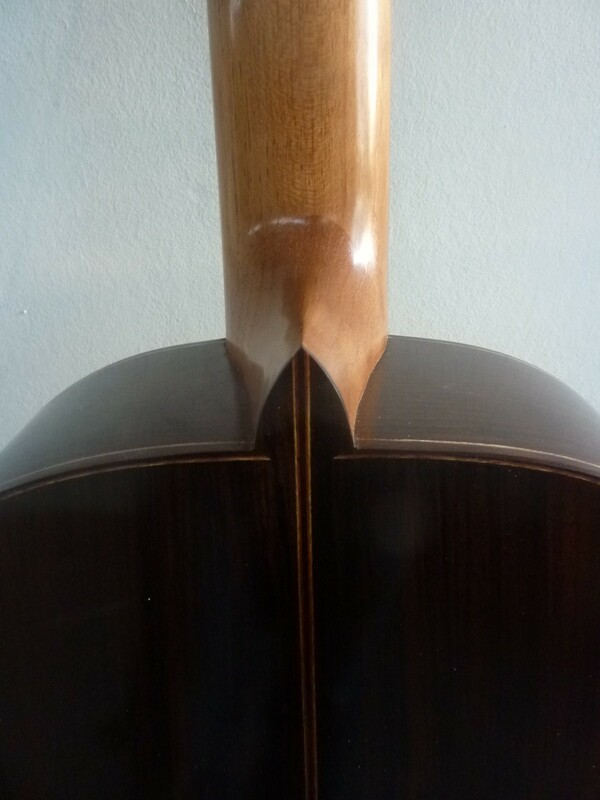 Many of those woods are local often found on our own land. 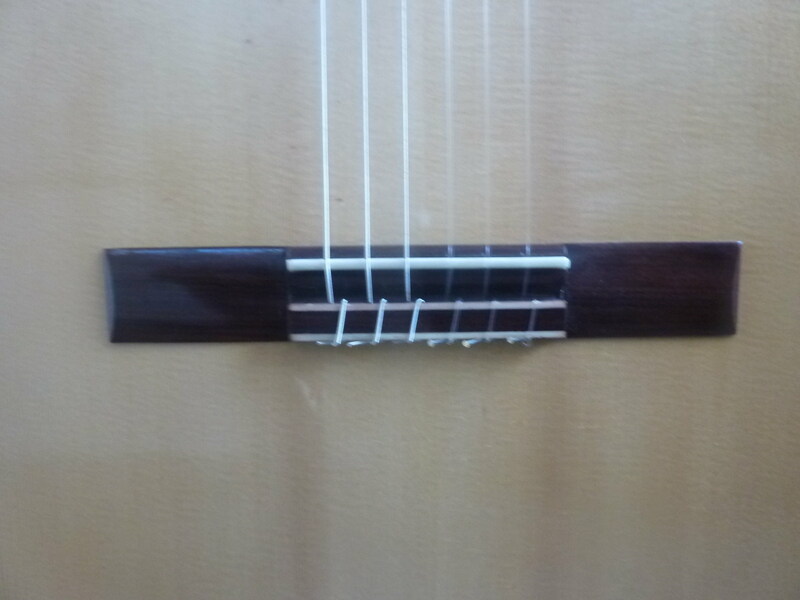 Using very rigid/stiff Spruce means that the soundboard can be worked thin to give a loud open and balanced sound. 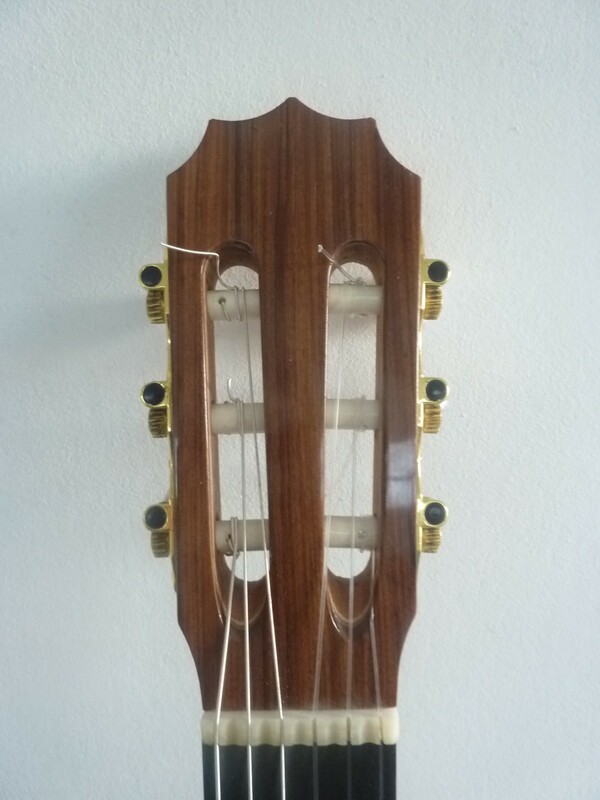 Deep basses and sweet singing trebles characterise the sound of my guitars. 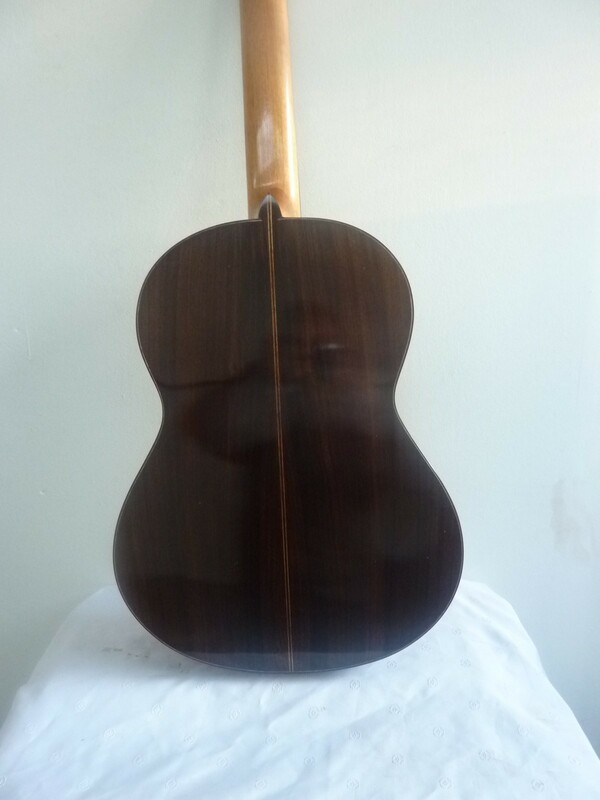 The rosewood adds colour to the overall timbre of the guitar and helps reflect the sound boosting the power and adding depth to the sound.